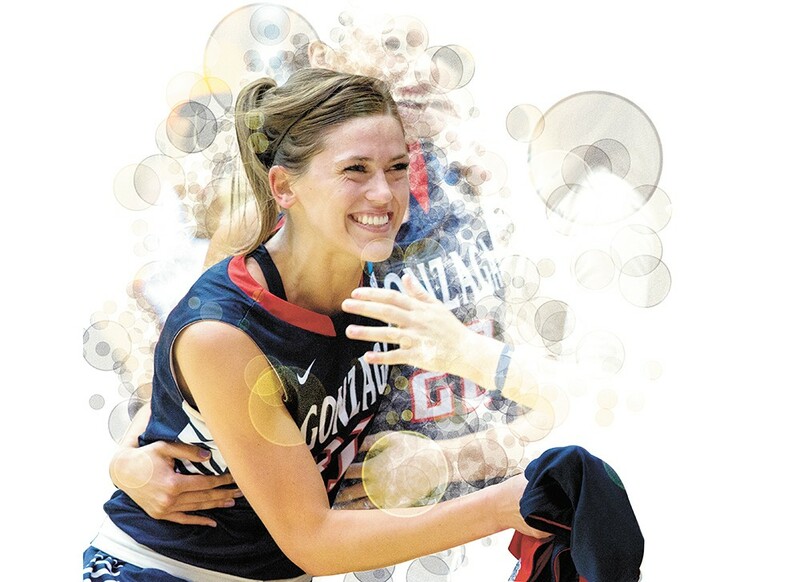 Gonzaga's women's team had an epic run last season, and hope for a repeat. Despite a shaky end to the 2014-15 regular season and a loss to Brigham Young in the WCC semifinals, the Gonzaga women's basketball team more than proved they were deserving of their NCAA tournament bid. Led by first-year head coach Lisa Fortier, the Zags beat 6th-seeded George Washington 82-69 in the first round and 3rd seed Oregon State 76-64 in the second round to reach the Sweet Sixteen. The Zags were the aggressors for a majority of their matchup against second-seeded Tennessee, but ultimately the Vols' accuracy from the free-throw line led them to a 73-69 win over the Zags in overtime. What does all of that mean for this upcoming season? Fortier's high level of coaching, acknowledged by far more than Zag fans, earned her the Maggie Dixon Division I Rookie Coach of the Year award. Her familiarity with the Zags' program, after serving as coordinator of basketball operations for two years and assistant coach for seven more, was evident in her smooth transition into her new role. The Zags have won the past 11 regular-season WCC titles, and this year received six of nine first-place votes in the coaches' poll, making them the 2015-16 WCC preseason favorite. Though the Zags graduated two strong shooters — Sunny Greinacher and Keani Albanez — seniors Elle Tinkle and Shelby Cheslek have established themselves as big presences on the court; both have been named to the preseason All-WCC team. Tinkle averaged 11.7 points per game last season and was named to the all-WCC first team; Cheslek was third in the conference in blocks at 1.6 per game, fourth in rebounds at 8.2 per game. Gonzaga Prep's Laura Stockton, daughter of Zags legend and NBA Hall of Famer John Stockton, is a freshman on this year's team. Kiara Kudron returns after redshirting last season; as a sophomore, she boasted the team's highest field-goal percentage. The Zags play eight of their 12 non-conference games in the Kennel, though some of the matchups won't be easy. Stanford won the Pac-12 tournament last season, North Carolina made it to the Sweet Sixteen and Dayton lost to eventual national champion Connecticut in the Elite Eight. "It is going to be one of the toughest non-conference schedules in the country," says Fortier. "We wanted to test ourselves early in order to help prepare us for conference and postseason play."